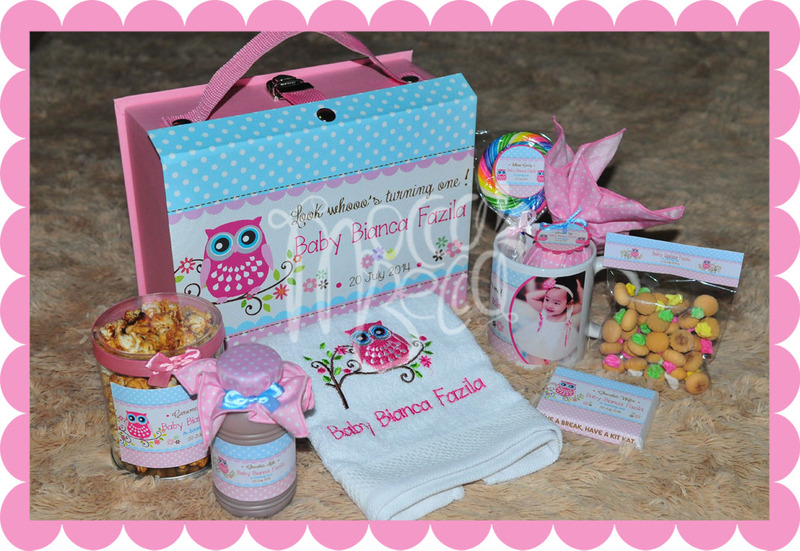 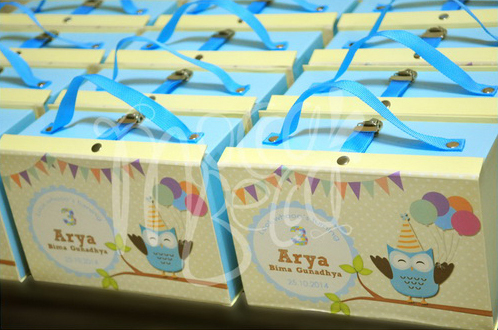 Ordered by Mrs. Ratih, 160 pax with request in owl theme. 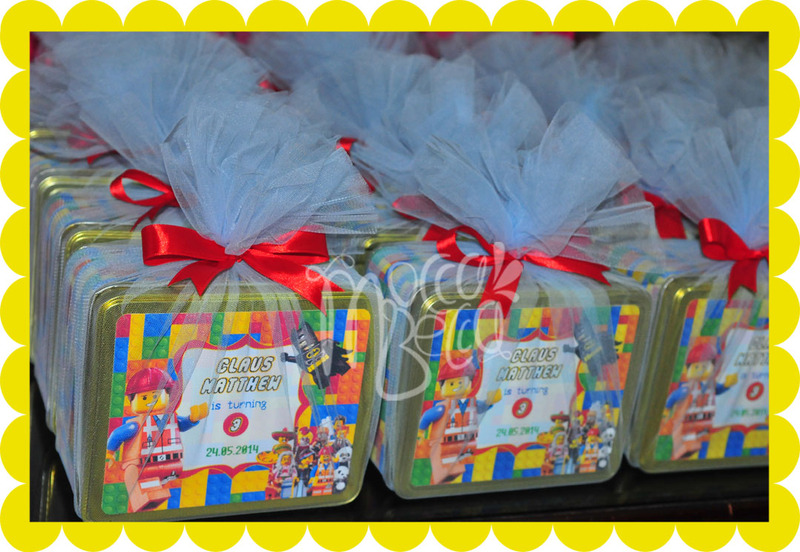 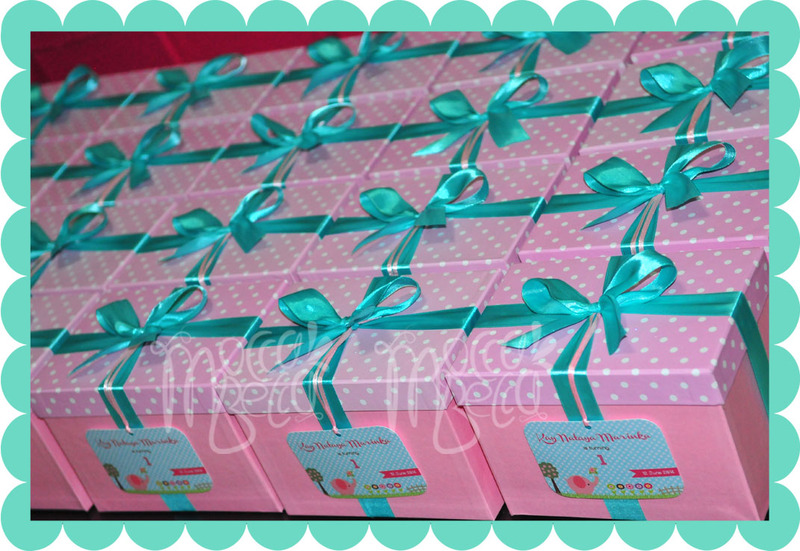 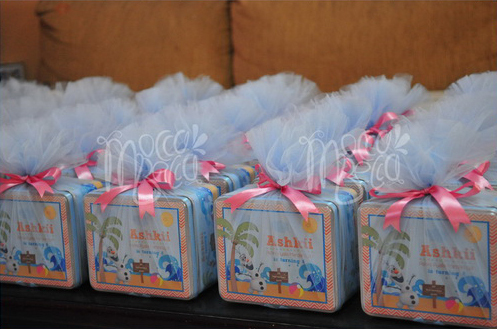 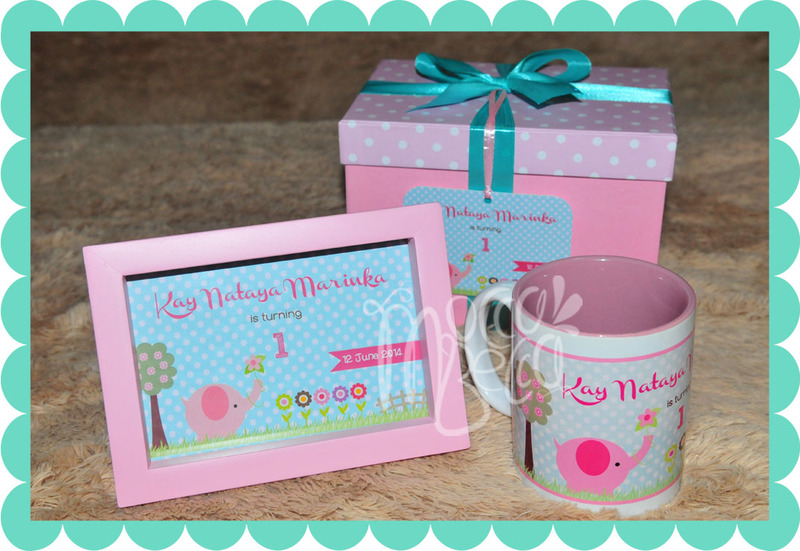 Ordered by Mrs. Nina, 30pax with request in Dibo theme. 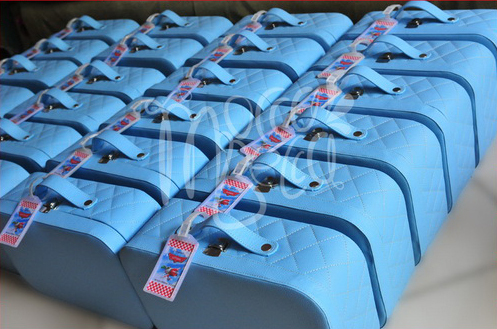 Ordered by Mrs. Marta, 35 pax with request in disney plane theme. 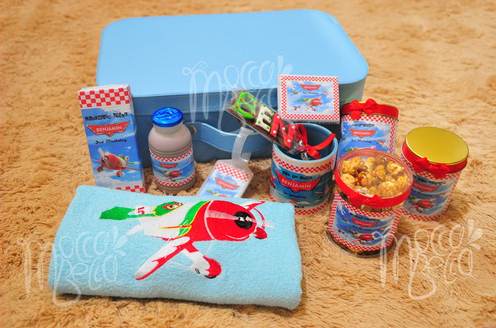 1 choco milk + 1 set alphabet cookies + 1 pocky + 1kitkat bar + 1 luggage tag. 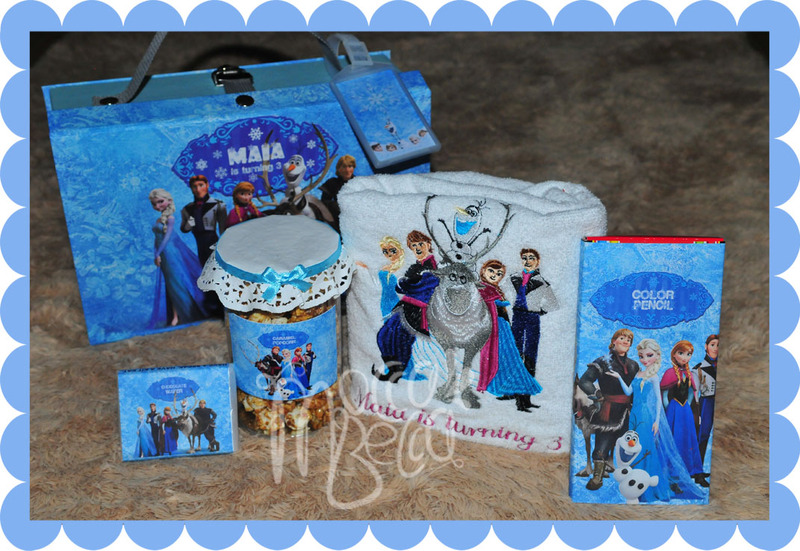 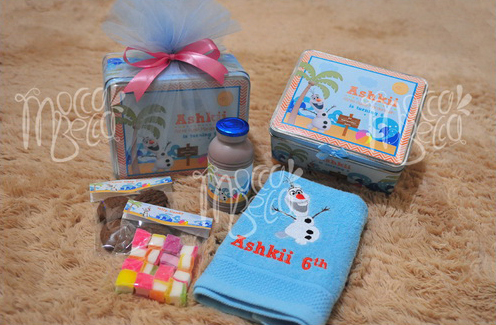 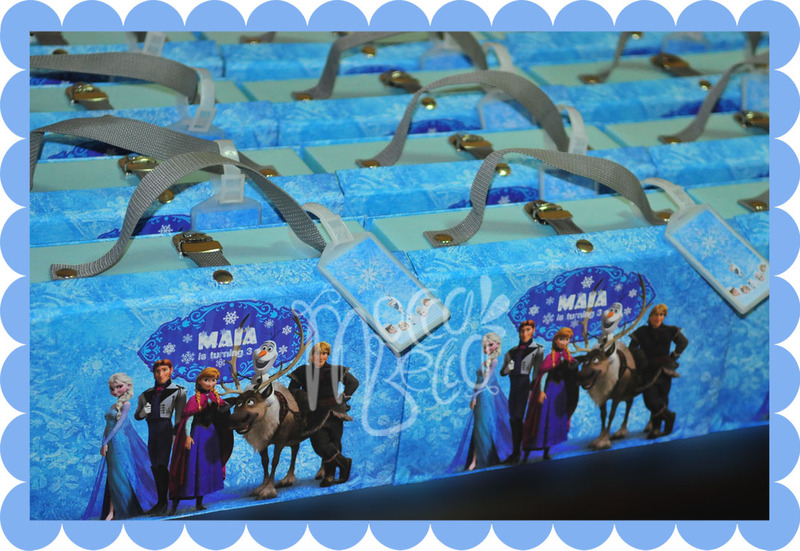 Ordered by mommy Lis from Singapore, with request in Frozen theme. 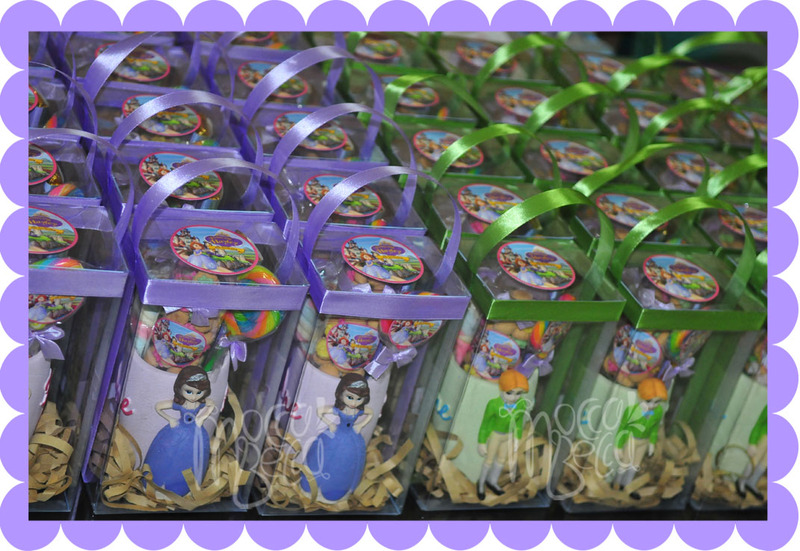 1 plastic jar caramel popcorn + 1 kitkat bar 4F. 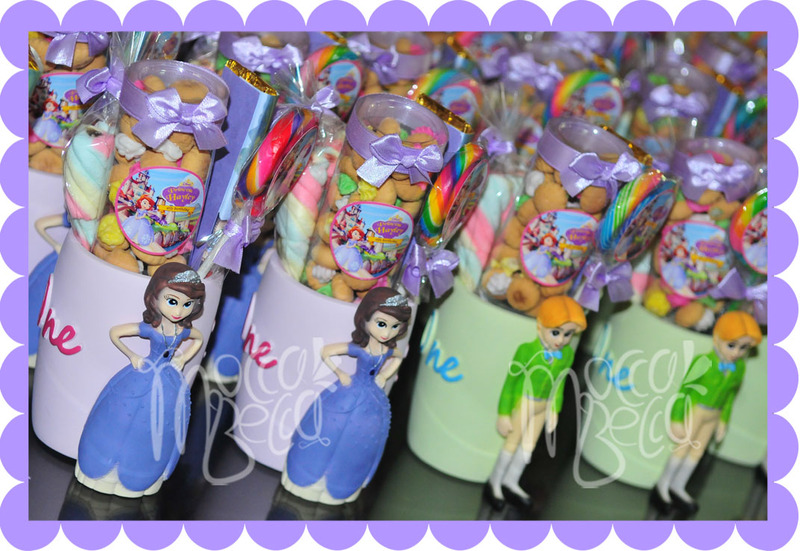 Ordered by daddy Fandy, with request in Sofia the first theme. 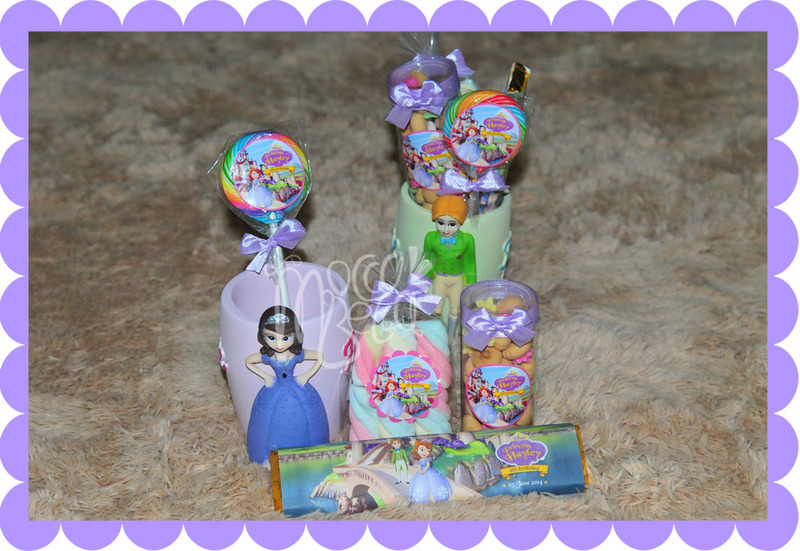 1 lollipop candy + 1 tube rose gem snack. 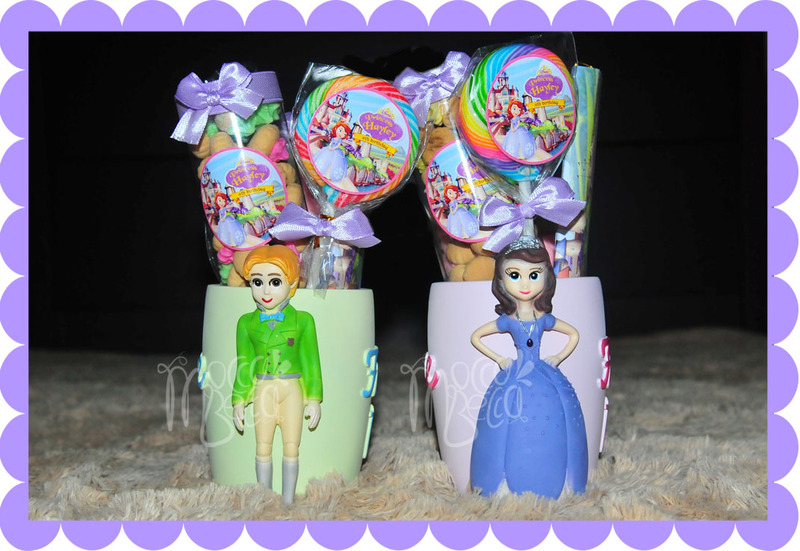 Prince James & Princess Sofia. 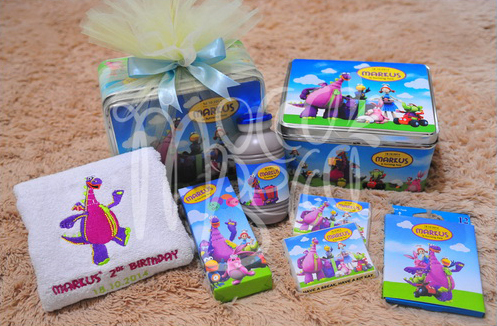 Claus Matthew is turning 3 ! 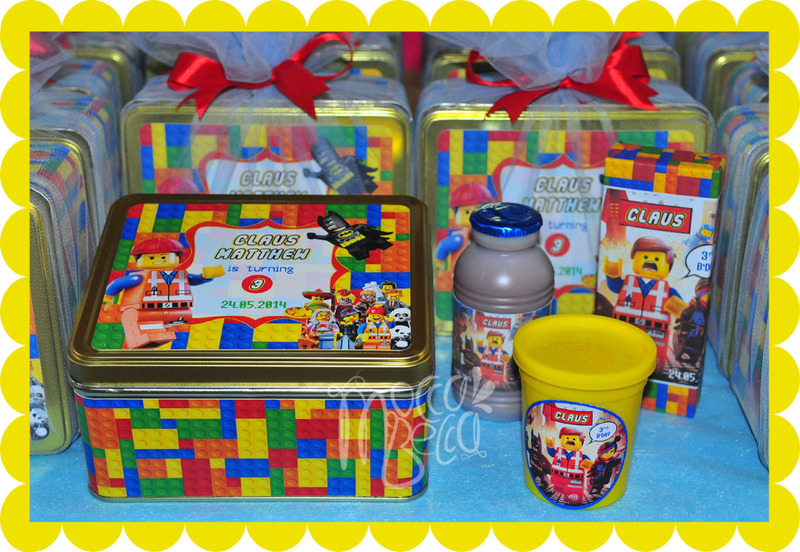 Ordered by mommy Merlin with request in Lego movie theme.